There’s a myriad of irritating things you could do to put off potential friends pretty much anywhere, like ordering the most expensive thing on the menu and asking to split the bill, or retelling that one story no one laughed at in the first place. But there are some that might particularly get on the nerves of French people and are best avoided, unless of course your aim is to use this list to intentionally annoy your French coworkers, friends or partner (which we’re not condoning). Do all of these and you’ll be on track to being the least popular Anglo at the soirée. Although “le binge-drinking” is alive and well in France, apéro culture is a whole different ball game. Don’t mistake this for a house party, at the apéro (short for apéritif), the nibbles aren’t just there to help you absorb the alcohol, and you’re actually meant to have a civilised conversation. It might physically pain a French person to cook a steak until it’s bien cuit or “well done”. In France, it’s the bloodier the better, and asking for steak beyond à point (rare to medium rare) is only for tourists who ‘”ruin” the flavours. France is proud of their cinematic heritage, so watch your popularity plummet as you decline their invitation to go see the latest French art house film saying you’d rather go watch Die Hard on DVD at home. Having cheese as a starter, asking if they have any crackers, cutting the cheese however the hell you like. All big no-no’s according to French norms on cheese eating and could provoke the ire of purists, like when one French mum broke with convention on Camembert cutting (pictured above). Little will rile non-Parisian friends more than equating the capital with the whole of France, they might snap back at you with the old phrase “Paris is not France and France is not Paris“. There’s a reason the fresh bread section of the supermarket is so small, strictly for emergencies and convenience only. Bread from supermarkets like Carrefour is not to be compared with “the real thing” from the numerous local bakeries. Everyone knows the 35-hour week is a myth, the average French person puts in 39 a week and certainly won’t thank you for bringing out the old “French workers are lazy” stereotype. French people, by and large, will tell you they’re proud of their country’s cuisine, so wrinkling your nose at a boeuf bourguignon and asking if you could go get sushi or tacos instead won’t make you many pals. Meat free diets are gaining in popularity in France, especially in bigger cities, but in the wrong crowd, telling French people you can’t share their planche mixte might get you some concerned looks. Your French friends are unlikely to be impressed by your spot on observational humour. Unless they work in the transport sector, they’ve probably never been on strike in their lives. Save the jokes for friends who work in SNCF or AirFrance where they might at least hit the mark. While the concept of eating at your desk is alien to most Spaniards, who like to enjoy a proper sit down lunch, they do love to eat tapas standing up and, if possible, crammed like sardines into a tiny bar. You can tell the good tapas bars by how packed they are, condensation on the windows and people spilling out of the door onto the streets. After living in Spain you’ll have sharpened your elbows enough to push through the crowds to the bar as well as any Spaniard. My initial reaction to the Starbuck story was wow, followed by are you mad? I agree with CEO Howard Schultz, we need to talk about race, however at business? envision long lines heated discussions, with regular Starbucks customers caught in the middle. I have a child who works for Starbucks. Like their father, they have strong opinions and they are not intimidated by discussions of race. 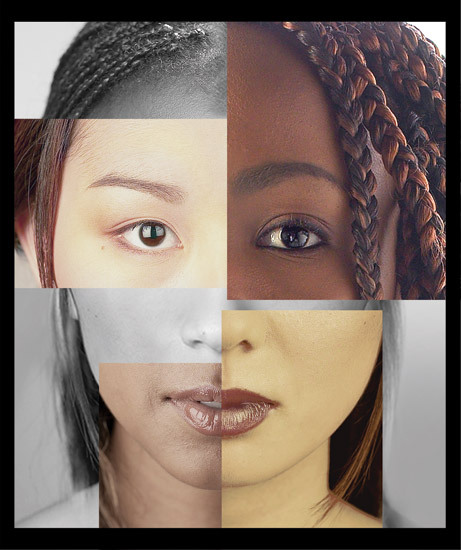 Race is one of those polarizing issues. People are passionate because they want to be understood and because of this passion (that some confuse with anger) people are afraid of the topic. For nearly ten years I have played cards with a wonderful group of people. I am the only person of color in the group. In fact, I think I’m the” black” person they know. Through the years we have shared many personal stories and despite our history, race is an area we haven’t touched. Even when we discuss the president, some of the group is uncomfortable as if the President was my relative. I’m sure they talk about race in my absence. I’ve never lived in a mono community. My friends come in many hues and backgrounds. I was part of the second wave of integration in the 60’s and 70’s. 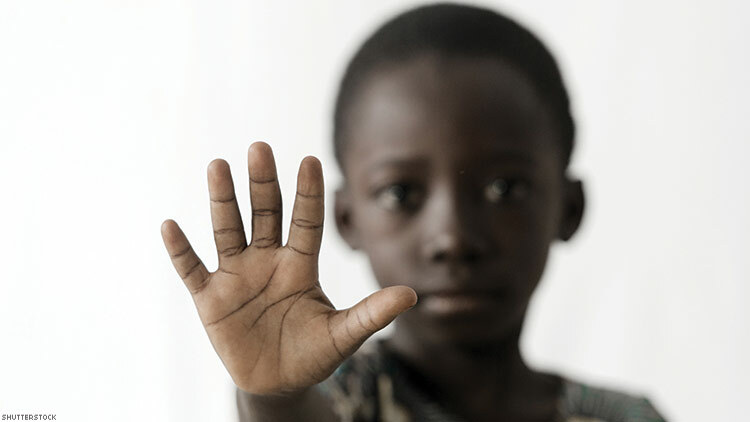 As a child, we knew we weren’t welcome in the homes of our friends and it didn’t matter. What mattered was our friendship, some I’ve maintained for more than 40 years. I do see color and it doesn’t matter. It was important that my children lived in a multicultural community. People who live in South Natomas, or South Sacramento are less fearful of people who don’t look like them then those who live in the mono suburbs. Recently I at a venue with friends in the Bay Area. I was sharing story of a large Chinese wedding that I recently attended and making light hearted comparisons of this weddings with weddings of other groups and backgrounds. One person, a very attractive black woman in her early forties took my breath away as she a study in stereotypes. From Asians, knowing Kung foo, to all Italians being in the Mafia to Jews being cheap, I was astounded. If it were 30 years earlier I would be standing on a table screaming at her making everyone uncomfortable. I have matured and asked her about her background. I learned she was from the southeast. She was born and raised in a black community, and despite her education and work environment, all of her interactions are with black people. She seemed to be a little suspicious of the blacks who were interacting with whites at the venue. Her story is more common than not. Most neighborhoods are segregated. It is uncommon for whites to move into minority neighborhoods. I’ll say it again. I do see color. I am very aware when I am the only black or person of color at an event. Because of interactions with other groups, I am not uncomfortable being the only black person. I’ve learned we have more in common than less. Talking with non blacks I’ve learned why some people are uncomfortable communicating with someone who doesn’t look like them. Learned not to lay in wait for someone to make a mistake and attack because most people aren’t malicious, they simply don’t know any better. Learned to give myself a break, because of I don’t know all the cultural and social norms or every group in the world AND and to ask questions. Silence breeds misunderstanding forcing some to rely on stereotypes. I’ve learned most people are honored that you genuinely want to know about them and their background/culture. However, we must think and pause before we ask . There are incendiary questions. We must think and pause before we ask . How many different daddies? Are you legal? Is everyone in your family rich? Are you a member of the Taliban? Where you molested as a child? When people talk they begin to understand and in short time of those racial barriers begin to fade. You learn, that you don’t need to know their language(ebonics) or take a crash course on slang. You simply come as you are. The village of Jiazhao in northern China’s Shanxi Province, surrounded by cement and gas plants due to its close location to Taiyuan, the capital, suffers constant, severe air pollution. The village is known for its exquisite brick carving, which is one of the intangible culture heritages in China. THE beauty of ancient Chinese villages, as well as the cultural and natural heritages they left, is fading in the face of modernization, according to a field-trip research that spent the past seven months exploring around the country. The 13-people team was led by three men — designer Liu Fanggang, traditional Chinese painting artist Sun Jinlong and Chen Yu, president of Modocom Group. They visited 91 villages, stretching from Heilongjiang Province in the northeast to Xinjiang Uygur Autonomous Region in the west and Hainan Island in the south. Some villages are almost vacant as all the young people have left to work in big cities. Yanwo Shanzhuang in Anhui Province is a typical case. The nearly 600-year-old village on the top of a mountain has only 11 residents left. Except for a primary school student and a junior high school student, all the villagers are middle-aged or seniors. The village has 34 typical ancient Huizhou-style buildings, but most lack maintenance and aren’t needed anymore. Chen says many families moved out for the sake of their children’s education. Chen says the village actually had very high potential as a tourist destination because of the Huizhou-style architecture, but due to its remote location, no developers are willing to invest. Meanwhile, other villages have disappeared because of urbanization. When the team reached the village of Lulei in Fuzhou, Fujian Province, they found the 730-year-old place had been almost completely demolished to make way for the new Fuzhou Rail Station. The village is the hometown of Chen Jingrun (1933-96), a mathematician who made significant contributions to number theory. 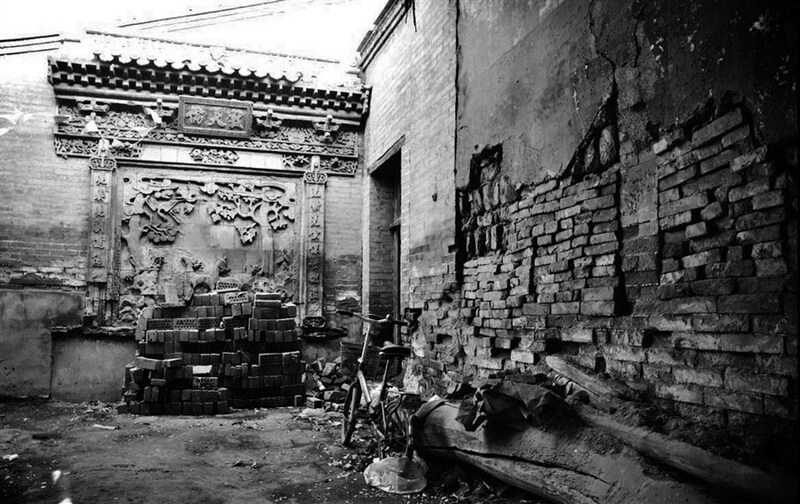 But like most of the buildings, the former residence of Chen was bulldozed into debris. The research team noted that the only valuable construction left in the village is the ancestral hall of Chen’s family, which is as old as the village itself. More than 1,000 memorial tablets of the family’s ancestors are placed in the hall. Locals told the team that earlier last year, the entire village, including the hall, was sold to a developer by the government, arousing wide controversy. Eventually the government compromised and started a new master plan for the village. The team found in some places that even though some villages remain, the living environment of the residents is threatened. For instance, the village of Jiazhao in northern China’s Shanxi Province is close to Taiyuan, the capital. Surrounded by cement and gas plants, the village suffers constant, severe air pollution. The villagers told the team that maybe in three to five years, the village will be moved. The village has Qing Dynasty (1644-1911) architecture, including a temple for Avalokitesvara Buddha, with a detailed fresco painted with natural mineral pigments. Team members say they expected that through the journey, they could attract developers, designers and government officials to plan for restoration. In 2013, Feng Jicai, president of the China Federation of Literary and Art Circles, said on a forum that every day nearly 100 villages in China disappear. Liu Wei, vice chairman of the China Institute of Interior Design, has been devoted to preserving ancient towns and villages in the countryside for years. He says the best way to protect the countryside is to return to its original style and features. But developers and regional governments, which have strong economic incentives to build, sometimes are doing the opposite.